Winner of Persea's 2008 Lexi Rudnitsky Poetry Prize for American Women Poets. The impetus of this harrowing debut lies in tragedy: "My father shook the gun to get the bullet out. / He was a careless man, but only once." 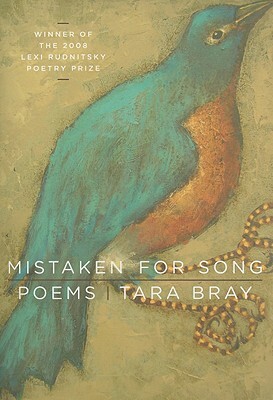 Yet even amidst a constant ache, the poems in "Mistaken for Song" do not refuse solace. Instead, they find consolation, communion, and even joy in the untamed natural world, rendered at every turn by Tara Bray's pitch-perfect ear for heartbreaking music.